A number of charter school operators across LA Unified say the district and its school board are turning up the heat on them to an unbearable degree while using the Charter Schools Division and Office of Inspector General to make approval and renewals of charter schools increasingly difficult. They claim there has been an increase in the number of investigations by the Inspector General’s office and more denials of charters by the board though increased scrutiny by the district’s Charter Schools Division. The board has already denied more charter applications in the last six months than it had in the previous two years combined, and it is likely to issue at least three more denials at today’s board meeting. Three other applications were withdrawn last week by Magnolia Public Schools after the Charter Schools Division was set to recommend denial. The board rarely goes against staff recommendations on charters and has only done so one time in the last year. Previous to Young taking over Magnolia a little over a year ago, LA Unified attempted to shut down two of its campuses over fiscal mismanagement. But then a state audit issued in May said the district acted too hastily in trying to shut the schools down. Young said Magnolia has been the focus of a series of investigations by the Inspector General’s office and it is beginning to feel like a never-ending investigation. Just as she thought the investigations of Magnolia were over and relations with the district were returning to normal, she discovered Magnolia was the subject of a new investigation when the Inspector General’s office asked for financial records dating back to 2002, something it had already fully investigated in the past. Young said the investigation was launched in August days after a Broad Foundation plan to finance a major expansion of charter schools in the district was leaked. A nonprofit to execute the plan, Great Public Schools Now (GPS Now), was formed later and has since said the plan is being retooled to finance charters, magnets and other district schools. Still, the plan has been denounced by the school board in a December resolution because of the perceived threat it sees to the district’s enrollment and finances. 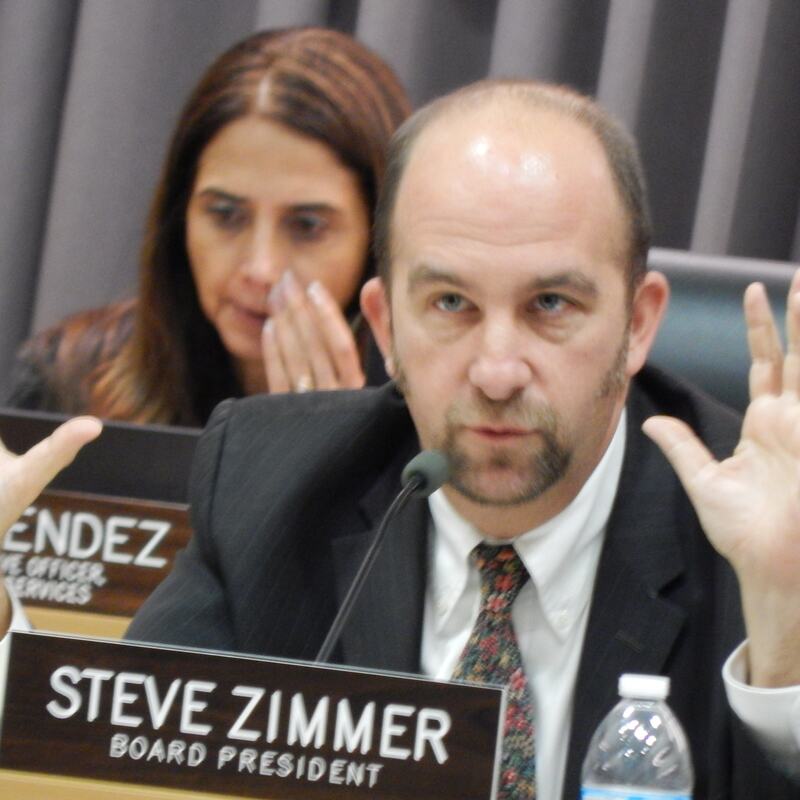 Several board members have delivered scathing public comments attacking the plan, with board President Steve Zimmer saying the backers of the plan want to “bring down” the district. In an open letter to LAUSD that was sent to LA School Report by the California Charter Schools Association (CCSA), 23 charter operators said they see a connection between the opposition to the plan and the increased scrutiny of charter schools. The Inspector General’s office looks at improper and illegal activities taking place within the district and tries to detect fraud, waste or abuse. The office — which reports directly to the board — can be requested by any board member to open an investigation and has the power to issue subpoenas. Much of the Inspector General office’s work is done in secret without public discussion, and confirming the claims by charter operators that the office has increased investigations is difficult. While any financial audits of charters are publicly released and published on the district’s website, investigations are not generally publicly released, and the office will not confirm or discuss any ongoing investigation. There is some evidence that the office may have increased its number of investigations. The Inspector General, Ken Bramlett, went before the board’s Budget, Facilities and Audit Committee last month and requested an additional $570,000 for audits and investigations. This year alone, there are five ongoing large-scale charter school investigations, Bramlett told the LA School Report in an email, although it is unknown if that is an increase from years past. When asked if there is any public record of who asked for an investigation, or if the number of investigations has increased, he said that information was confidential per the state education code. The Charter Schools Division, which reports to the superintendent and issues recommendations to the board on the approval or denial of charter applications and renewals, can also request that the Inspector General open an investigation. Members of the public and other LAUSD divisions can also request an investigation through a hotline. Cole-Gutierrez, who has been leading the division for eight years, insisted his office has not increased its scrutiny of charters or felt pressure to issue more recommendations for denials. Young and other charter leaders said they see it differently and tell stories of being drowned in red tape. Several charter executives said they see a connection between the opposition to the GPS Now plan and increased scrutiny of charters that have been operating for years. Cristina de Jesus, president and chief executive officer of Green Dot Public Schools California, which operates over a dozen schools in LAUSD, also said the scrutiny has increased. Green Dot has had eight charter renewals successfully go before the school board in the last year and had a new charter application approved in January. But de Jesus said it was no easy task. Young said the way charters are treated and analyzed is uneven compared to the scrutiny district schools receive. Jed Wallace, the executive director of CCSA, said he also sees a pattern of anti-charter behavior by the board. “Bottom line, this is a total witch hunt and charters are being harassed,” said Wallace, a former teacher in South-Central LA and administrator in San Diego before becoming chief operating officer of High Tech High, which grew from one school serving 400 students into eight schools serving more than 3,000 students during his tenure.